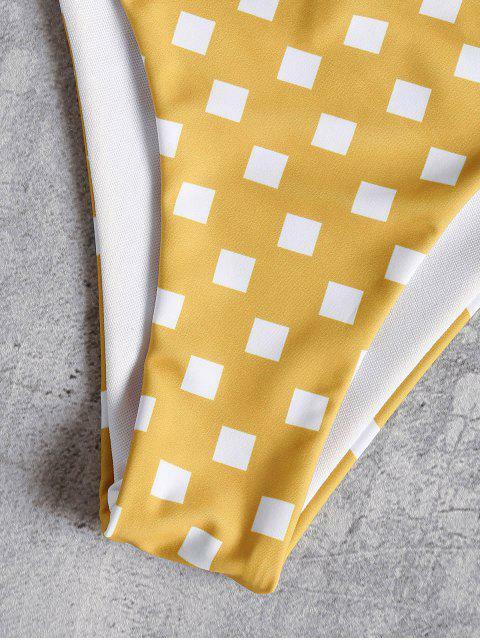 [25% OFF] 2019 Geometric Print Halter Bikini Set In GOLDEN BROWN | ZAFUL .. Designed with removable pads, this simple style scoops low to a strappy cutout detail at the bust with halter collar ties at the back for uplift. Meanwhile, the minimalist bottoms provide a barely-there rework of the classic bikini cut, with a low-rise waist and narrow waistband.